Visiting Puerto Limon for just one day on a Costa Rica cruise? We are here to make sure you have the best experience in Puerto Limon. 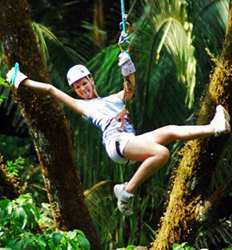 All of the activities below are selected with your Costa Rica cruise itinerary in mind. In fact, we hope you love Costa Rica so much you come back for your next vacation. So, we have sought out and chosen the best shore excursions in Puerto Limon at the best prices. 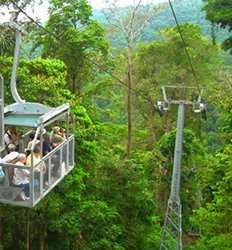 Aside from offering the best deals on the best excursions in Puerto Limon, there are many reasons you should book your Costa Rica shore excursions with The Real Deal Tours. Super Discounts. Our prices are significantly lower than the cruise ship offerings. We do our best to offer the best deals on all the best activities in Costa Rica while maintaining the best quality of customer service. Worry Free booking. Our 'No Port No Pay' policy guarantees you a full refund if your ships itinerary is changed at the last minute. The Best Activities. We have hand-picked our favorite Costa Rica tours to share with you. Along with some of the most popular shore excursions in Puerto Limon, we offer some of the best experiences you can only find in smaller, more personal Tico owned operations. Full Customer Support. Whether it is planning your trip, help finding your meeting location, or to rave about your tour when you are back home; our customer service team is available to take care of your needs every step of the way. 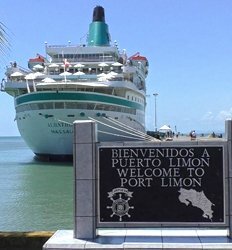 Below we have compiled a list of Puerto Limon shore excursions that are compatible with most Costa Rica cruise ship itineraries. While most of our activities include transportation, some you will need to provide your own transportation. Not to worry, public transportation in Limon, Costa Rica is cheap, safe, and easy unlike several ports of call. Providing your own transportation also saves you a great deal of money from the public tours your cruise ship offers. As a bonus, when you take your own transportation you will be with smaller more intimate groups. So what are you waiting for? 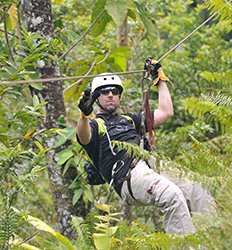 Let the activities specialists at The Real Deal Tours help plan your Puerto Limon shore excursions in Costa Rica today! 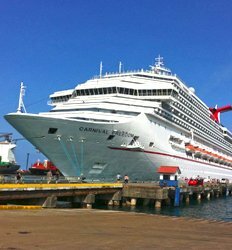 For more information on Puerto Limon and other Costa Rica ports of call, check out our Blog and our Frequently Asked Questions for Cruise Ship Passengers. Visiting us for just one day on a Costa Rica cruise? Our amazing Puerto Limon Highlights tour packs in all the most popular things to do in Puerto Viejo and Limon into one amazing shore excursions in Costa Rica! 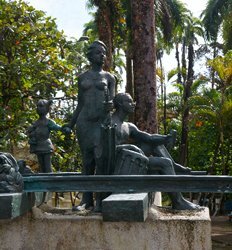 Take a short historical tour of Puerto Limon, Immerse yourself in Costa Rica’s rainforest at the Cahuita National park. This super combo combines a boat tour on the Tortuguero Canals with a nature walk through the Cahuita National Park. 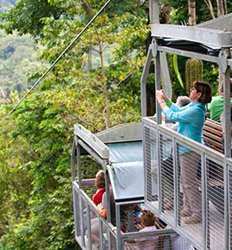 A true highlight of Costa Rica's passion for ecotourism at its best! If you love nature and seeking out wildlife, this is the ultimate shore excursion in Puerto Limon for you! 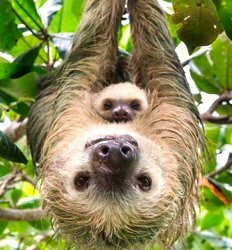 Unlike most tours that advertise seeking out sloths up close & personal, this tour focuses on seeking out and observing sloths in their own natural environment rather than a confined reserve or sanctuary. If you love sloths and seeking out wildlife in general, this is the ultimate shore excursion in Puerto Limon for you! 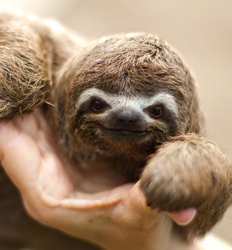 Sloth Lovers Excursion - Tortuguero Canals + Cahuita National Park Tour deposit is $74.00 per Adult and $60.00 per Child. 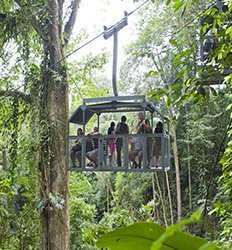 Costa Rica is famous world-wide for 2 of its amazing eco-adventures, the original canopy tours, and the Tortuguero Canals. Wanna check both off your bucket list? The Limon Eco Adventure combines both amazing activities into one amazing shore excursion in Puerto Limon. Looking for an exciting shore excursion in Puerto Limon, Costa Rica? Look no further! White water rafting in Costa Rica is an experience you will not find in any other cruise ports. The Pacuare River white water rafting adventure covers over 19 miles of wet and wild class III/IV rapids safe for beginners and fun even for expert paddlers. Adrenaline meets culture in this incredible half day shore excursion in Puerto Limon! 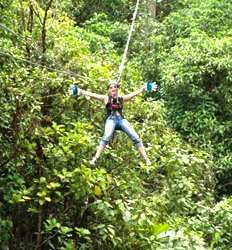 Start your day with an exhilarating zip line tour through the lush canopy of the Costa Rica rainforest. Next, enjoy a scenic drive along the Caribbean coast and stop at a banana plantation to learn about Costa Rica's most beloved export. Pack all this and more into one amazing day in Puerto Limon! Nature is culture in Costa Rica, so it is no surprise that one of the most popular shore excursions in Puerto Limon is a mix of both. Take a guided boat tour down the Tortuguero Canals seeking out monkeys, then visit a banana plantation to get to know more about that monkey’s favorite treat! Tortuguero Canal Boat Tour + Limon Banana Plantation Combo Tour deposit is $15.00 per Adult and $10.00 per Child. Nature and culture combine into one fabulous shore excursion in Puerto Limon. First, take a leisurely stroll through one of Costa Rica’s most wildlife intense reserves, Cahuita National Park. 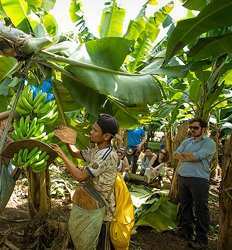 Then get to know a bit about the unique culture of the Costa Rica’s Caribbean coast with a tour of a banana plantation in Limon. 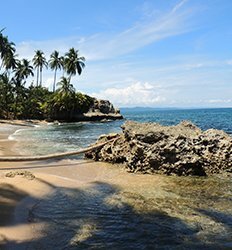 The Gandoca Manzanillo National Wildlife Refuge is one of the most isolated and exotic places on Costa Rica´s southern Caribbean coast, and one of the most impressive hiking sites not only in Costa Rica but in all of the Americas! The concentration of flora, fauna found at this ONE place makes it a "Must See". Gandoca Reserve Hiking deposit is $10.00 per person. This trekking adventure at the Kekoldi Indian Reserve is not your average hiking trip. This community is only accessible on foot, so right from the start you know this hike is meant to be extra special!! 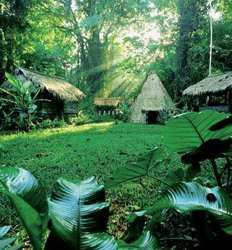 As you hike the jungle trails, your experienced local guide will explain about the community, its history and culture. An unforgettable cultural experience! At the Veragua Frog Habitat, we'll learn about all things amphibian! The Frog Farm is a fascinating habitat showcasing the many species of frogs in Costa Rica, especially those unique to the Caribbean region such as the famous Red Eye Tree Frog. 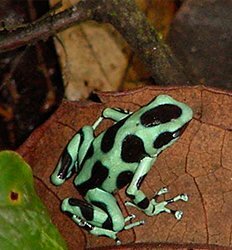 At the Veragua Frog Habitat, we'll learn about all things amphibian! 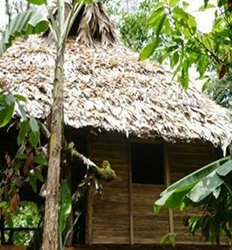 Veragua Rainforest Frog Habitat & Butterfly Garden deposit is $5.00 per person. Costa Rica is a birdwatcher’s dream come true! 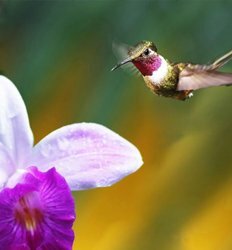 Costa Rica has more bird species than Europe and the U.S. combined which lends to top-notch birdwatching!! Join this Birdwatching Tour at Kekoldi Indian Reserve adventure around the rounds of the Kekoldi Indian Reserve in Costa Rica's Caribbean Rainforest. Birdwatching Tour at Kekoldi Indian Reserve deposit is $10.00 per person.